According to Rendezvous moderator JD Talasek, Art + Science is on the agenda. Talasek traveled to North Texas Mar. 30, 2016 to moderate the Art + Science Evening Rendezvous at UNT which brought students, artists, authors, designers, scientists, industry leaders, and innovative thinkers from the Dallas-Fort Worth community together to explore the art + science frontier and learn how different communities approach the combination of disciplines. He noted that the National Academy of Sciences is asking what would happen if we integrated “Education in the Arts & Humanities with Education in Science, Engineering, and Medicine.” They are also exploring ways to quantify and measure the value of combining disciplines in the arts and the sciences. But how can the value of art + science be measured? The combination of disciplines is a quest to ask great interdisciplinary questions. For example, this year, the National Academies Keck Futures Initiative (NAKFI) asked how “Ideation, Translation, and Realization” occur in collaborations formed on the frontiers of art, science, engineering, and medicine. The initiative brought members of the Academy’s Futures Network together to form task-groups and communicate ideas with each other. In that same spirit DASER (cpnas.org) DC Art + Science Evening Rendezvous and LASER (leonardo.info) events bring people together to discuss art + science projects, initiatives, and form collaborations through discussion within overlapping communities. The Washington DC Art + Science Evening Rendezvous is moderated by JD Talasek and organized by the Cultural Programs of the National Academy of Sciences (CPNAS) together with Leonardo, the International Society for the Arts, Sciences, and Technology. The Mar. 24, 2016 DASER discussion centered on the theme of Art & Science Integration. A presentation by Tom Rudin, Director, Board on Higher Education and Workforce, National Academies of Sciences, Engineering, and Medicine, titled “Arts Integration: How Should We Do It? Who Should Do It? And Why Bother?” presented the big questions on the table at the National Academy of Sciences. 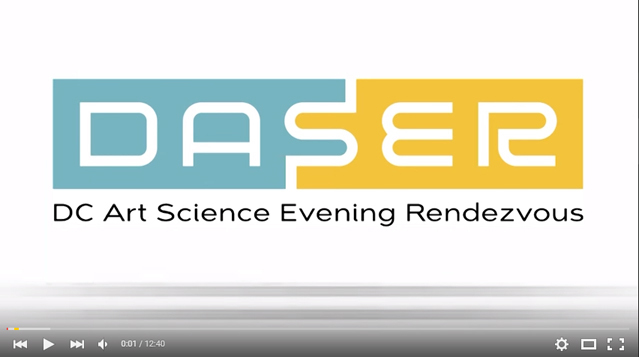 Learn more about the March 2016 DASER event (.pdf).